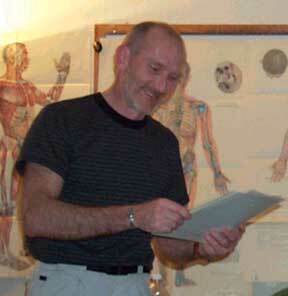 Patrik Rousselot was licensed in France in 1980 as a Physical Therapist. He became a Certified Bowen Practitioner in 1992 and a registered instructor for The Bowen Therapy Academy of Australia in 1994. He was part of the first group of Senior instructors authorized by the Academy to teach Tom Bowen's original technique in the US. In 1996 he introduced the technique in Quebec and in 1997 in France. He was a member of the North American teacher's committee, and regularly attended seminars and assisted the Bowen Academy founders, Ossie and Elaine Rentsch. Beside studying with the Bowen Academy he also studied the late Milton Albrecht interpretation of the the work of Tom Bowen. Although he had an extensive background with various physical therapy and hands on modalities, the Bowen Technique radically influenced his way of dealing with structural issues. The Bowen Technique is still today a major therapeutic tool that he uses in his private practice in the East Bay of the San Francisco Bay Area, CA.